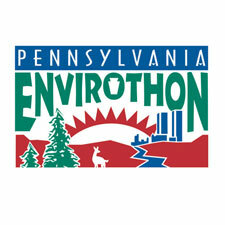 Every year 15 teams compete to earn 1st place in the Potter County Envirothon. Students are prepared for testing with a study day held at the Saulter’s Preserve a week before the competition. Competition day is held at the Pennsylvania Lumber Museum. Students are rotated through testing stations that quiz them on aquatics, soils, forestry, wildlife, and a current event that changes from year to year. Many of the stations require hands-on activity along with diverse background knowledge. The team with the highest aggregate score from all 5 stations is declared the winner and is given the opportunity to represent Potter County at the State Envirothon. We would like to thank all of our generous sponsors who make this event possible as well as all other collaborating agency staff that volunteer their time.